※Read more details while clicking map's pin. The 4th Sunday of every month (Except for the December) New Year, Lunar New Year, Hungry Ghost Festival, Others※In addition to the above, different rest by the store.>>Store list is here. ・About 9 minutes walk from Makishi monorail station. ・About 10 minutes walk from Miebashi monorail station. 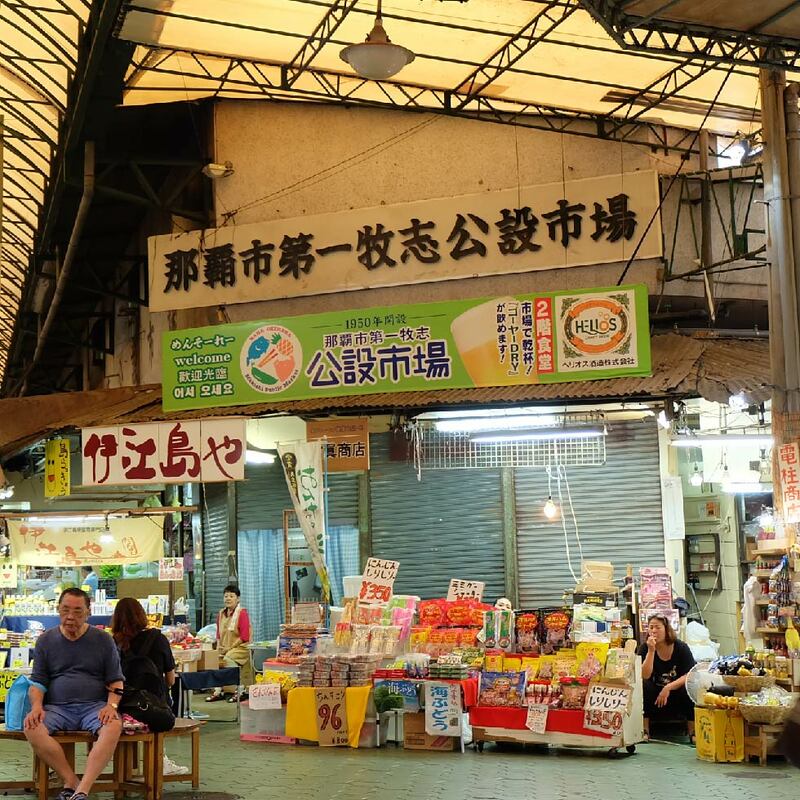 Public Market plans to open for business at a temporary building,from July 1, 2019 to March 31, 2022. 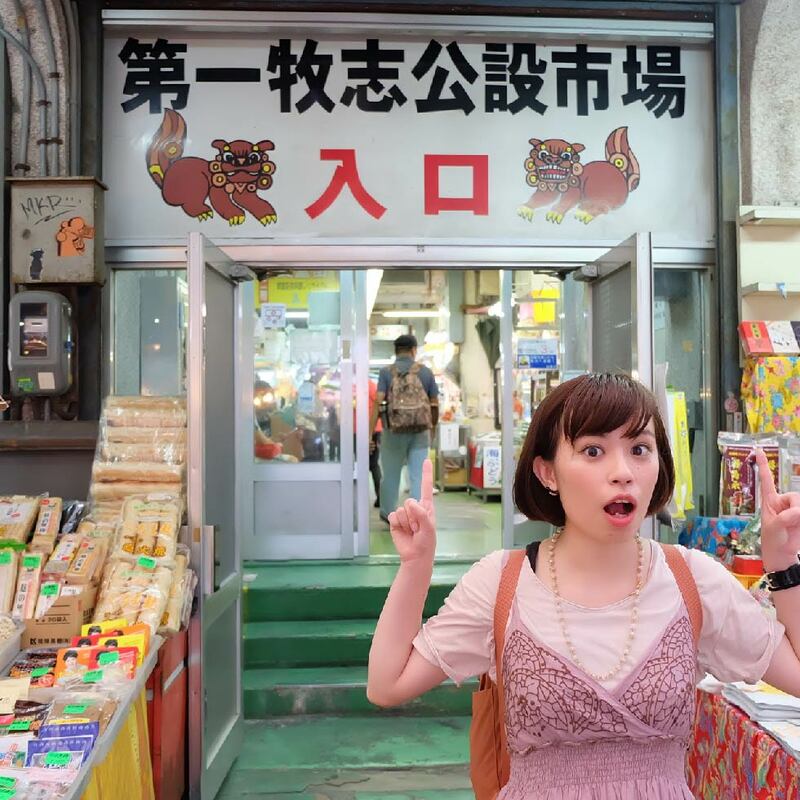 1.Along the International Street,in the signpost,there is a sign like [Ichiba-hon-dori] beside Mr Don Quixote Shop. 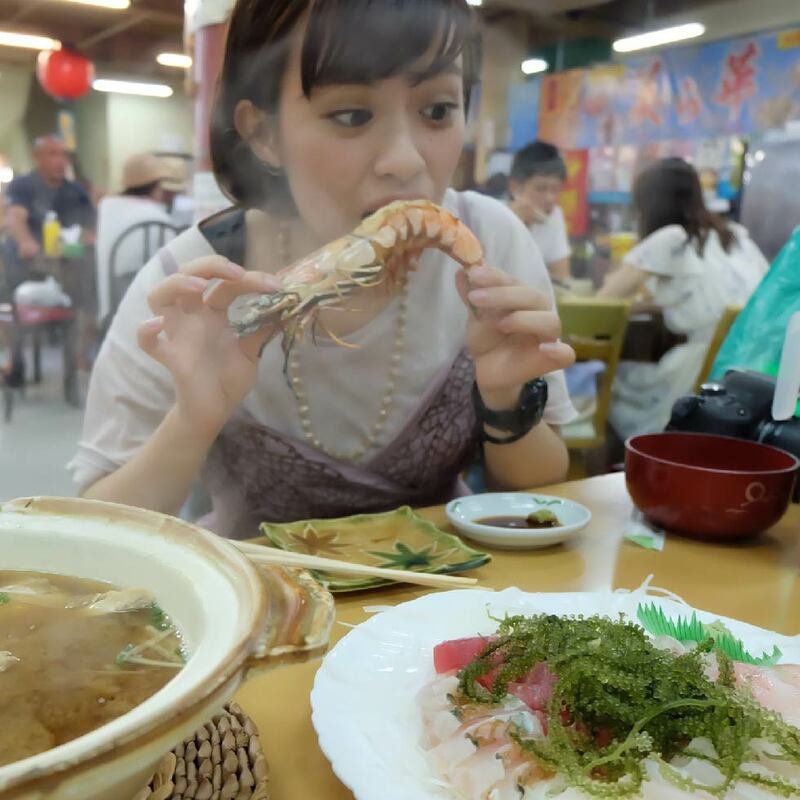 2.Don't be afraid of raining,please go into the arcade street directly which beside local specialities' house. 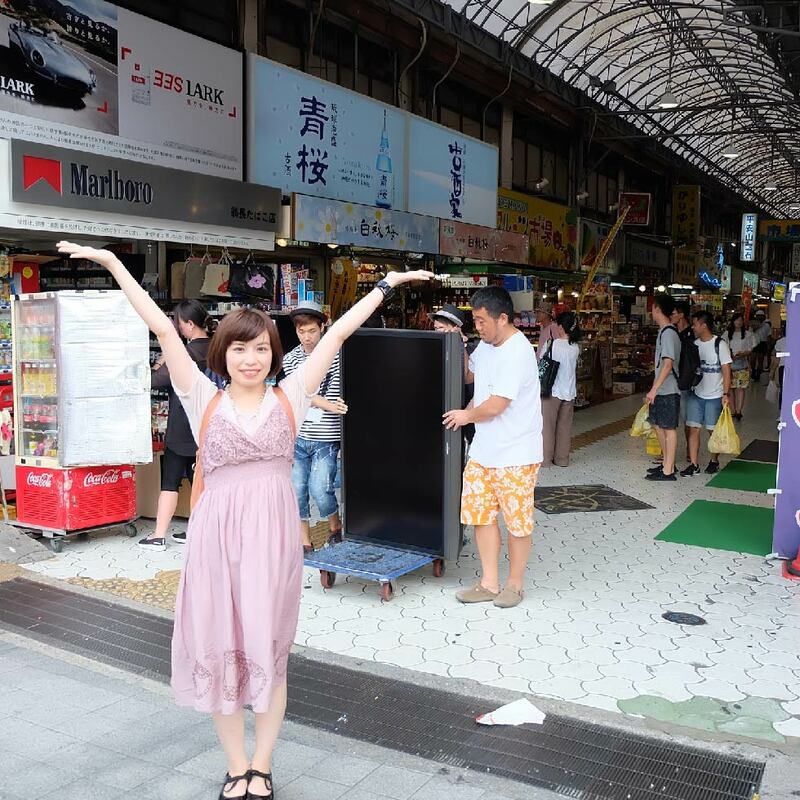 3.Public Market's signspot found!There are lots of vegetables・fruits・liquor・groceries and so on side by side in Arcade. 4. [Entrance]‘s signpost would be found while looking up!There are 11 entrances in total! 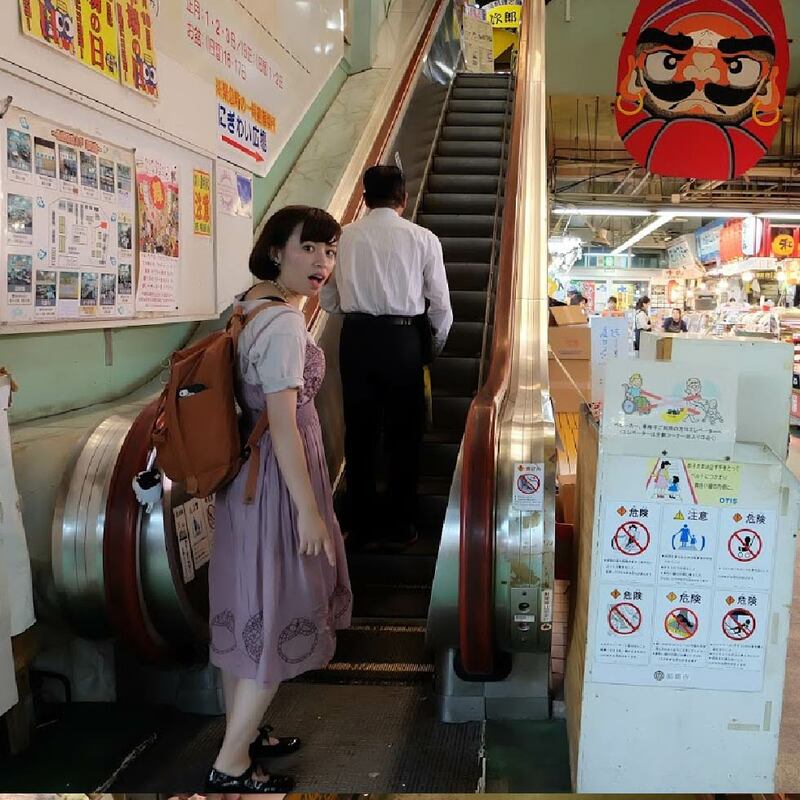 5.Please come in while seeing the door between two shop.There also some doors that have no signpost,please come in! 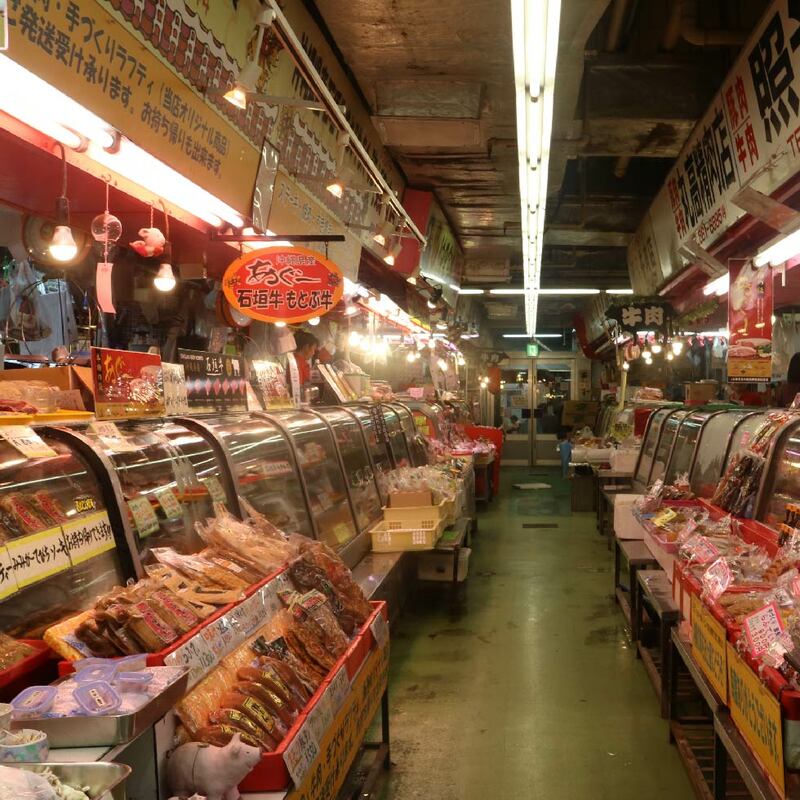 6.Inside the building,there a lot of novel fresh fishes,carefully chosen meats,processed goods,spices and groceries! 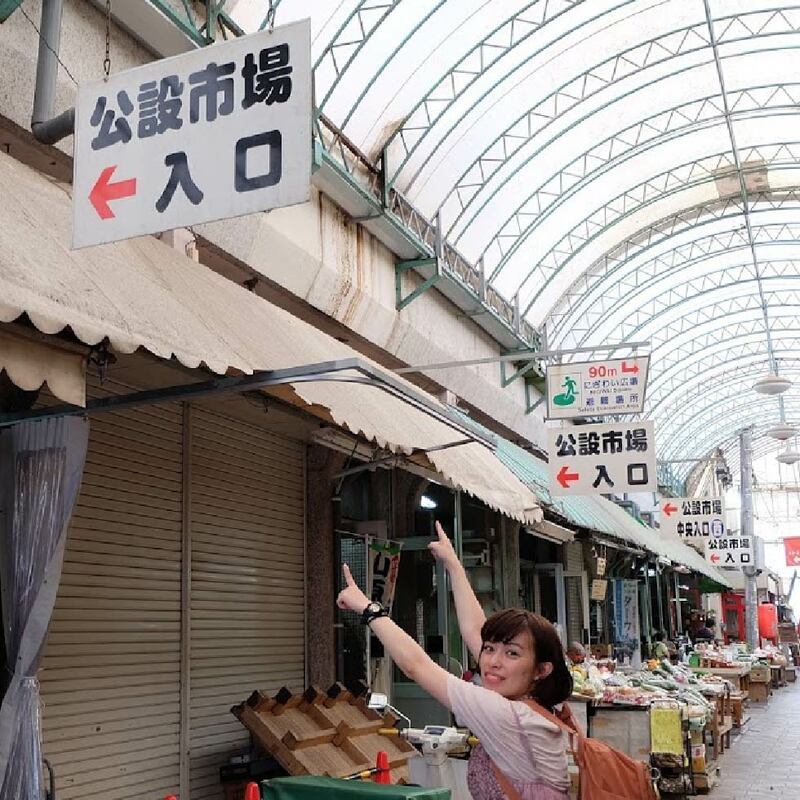 7.While going up from the escalator in the center of building,second floor is food street!Okinawa's cooking and desserts are their exclusive! 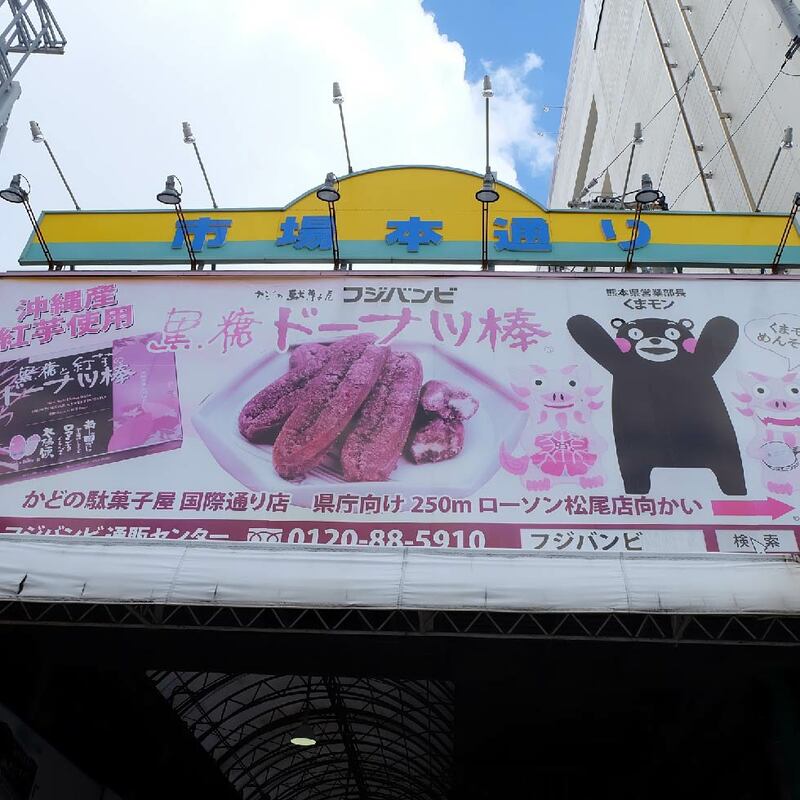 8.Buying ingredients from the first floor and cook them,which called [MOCHIAGE] service is also avaliable!